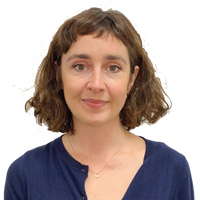 Dr Lauren Wroe is a Research Fellow at the University of Bedfordshire within the International Centre: Researching Child Sexual Exploitation, Violence and Trafficking. As a member of the Contextual Safeguarding team, she works on two research projects; a contextual safeguarding evaluation of the MOPAC funded pan-London project ‘Rescue and Response: Improving the identification and response to the impact of the exploitation of young people by organised criminals’ and a UK-wide project exploring alternatives to relocation for young people who have been exploited. Prior to joining the International Centre she worked as a social researcher in the area of international child protection, and practised as a social worker in statutory and non-statutory settings in the field of child sexual exploitation, human trafficking and modern slavery, family rights and migration, and mental health.